We know your love of Vat19.com knows no bounds. Now you can prove it by owning the official Vat19.com Retractable Ballpoint Pen! 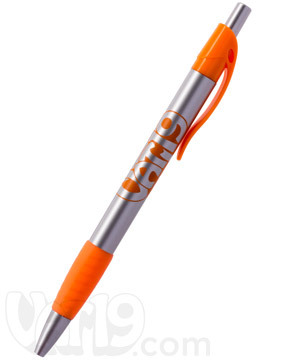 Featuring our trademark gray and orange coloring, our gloriously "plump" logo, and a rubberized grip, the Official Vat19.com Ballpoint Pen is a 100% sanctioned method for declaring your allegiance to Vat19. Uses standard ballpoint pen refills. Purchase more than one pen and save big! Dimensions: 5.5" x 0.5" x 0.5"
Granted, it's just a pen. But, it's the fond memories of time well spent browsing for curiously awesome gifts (and hopefully purchasing said gifts!) that this pen will evoke. Happiness will surely envelop your heart everytime you write with your gorgeous Vat19.com Retractable Ballpoint Pen. The official Vat19.com ballpoint pen features a retractable tip and a rubber grip. It's perfect for writing us love letters! A penny for a pen? Yes, one penny for a pen! 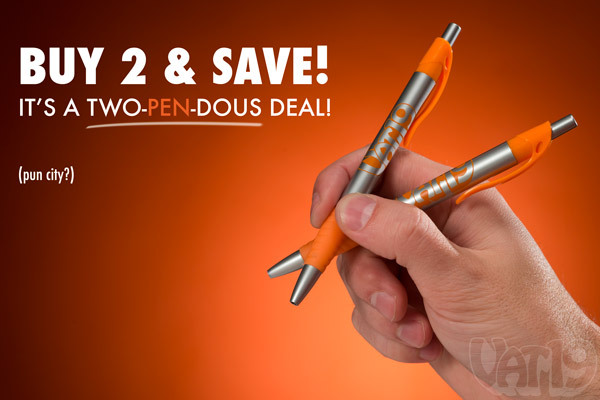 Here's the deal: Buy 1 pen for $0.99 and you can have a second for just a penny more! That's right: it's $0.99 for one pen, but just $1 for two. 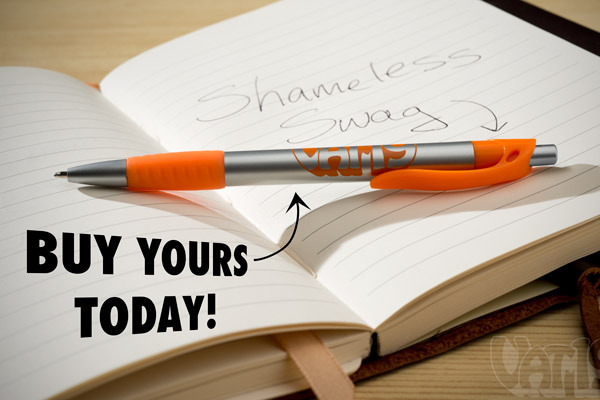 We're basically giving away the second pen so that you can share your love of Vat19 with a friend! After all, sharing is caring. 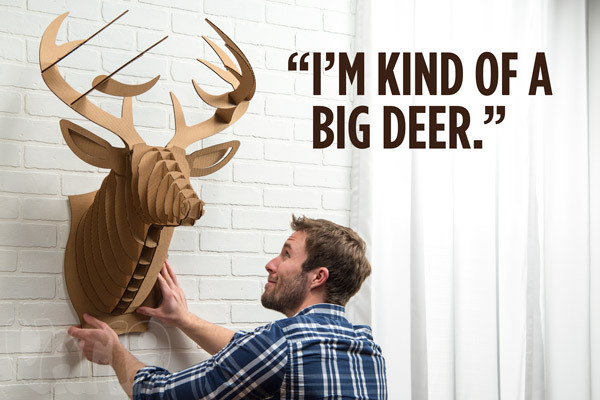 Admittedly, we've had better puns. However, the fact remains that this is one heck of a deal! Question: So... it's just a pen? Does it talk? Answer: We prefer to let our writing do the talking. Wait... does that even make sense? Getting down to brass tacks, these pens are awesome simply because they feature our official colors and logo. If you're a fan, we hope you'll love them. If you're not yet a fan, may we sing you a song? Question: What color is the ink? Question: Where can I buy ink refills? Answer: Pretty much anywhere office supplies are sold. They use standard ballpoint pen refills.